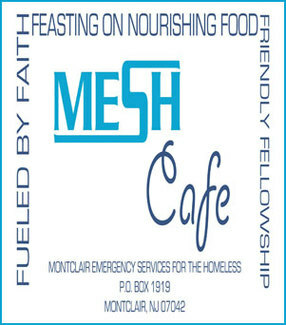 During the fall, winter and spring months, Montclair Emergency Services for the Homeless (MESH) partners with churches and synagogues in the Montclair community to serve thousands of nourishing evening meals for homeless and near-homeless residents of Montclair. The concept, MESH Café, includes not only nourishing food but also dinner conversations with individuals and families from our community. Bnai Keshet hosts MESH Cafe every Monday night. If you want to volunteer for our MESH Cafe evening meal program, please do so using following sign-up form.